The idea of establishing Entoto Observatory and Space Science Research Center (EORC) has been initiated during the establishment of ESSS in 2004. 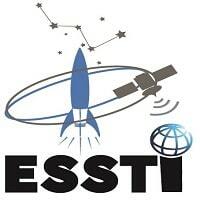 The first initiative has set out by ESSS Board members and decided the establishment of Astronomy and Space Science research centers at Entoto and other Highlands of Ethiopia. The construction of the center has been started in 2008/2009. In January 2013 the center has established an independent research center with name Entoto Observatory and Research Center by 32 public universities, ESSS and Unity University to utilize and administer. The mandate of EORC is leading research and training in astronomy and astrophysics, space science, Earth Observation, satellite science and related science and technology as well as national and international Collaboration. It is the first and the only institute working on astronomy, space science, satellite technology and Earth Observation in Ethiopia.